Welcome to this collection of spa resorts, spa retreats and spa vacations for health and wellness. My friend Daisy and I started dreaming of having our very own health and spa wellness center when we launched our wellness programs just recently. Knowing full well the benefit of holistic wellness and the need to have a get-away, a retreat of sorts to refresh the mind, rejuvenate the spirits and to reawaken the senses to the beauty of nature and the divine presence of all that is, I started browsing around for the best wellness centers, spa resorts and spa retreats. 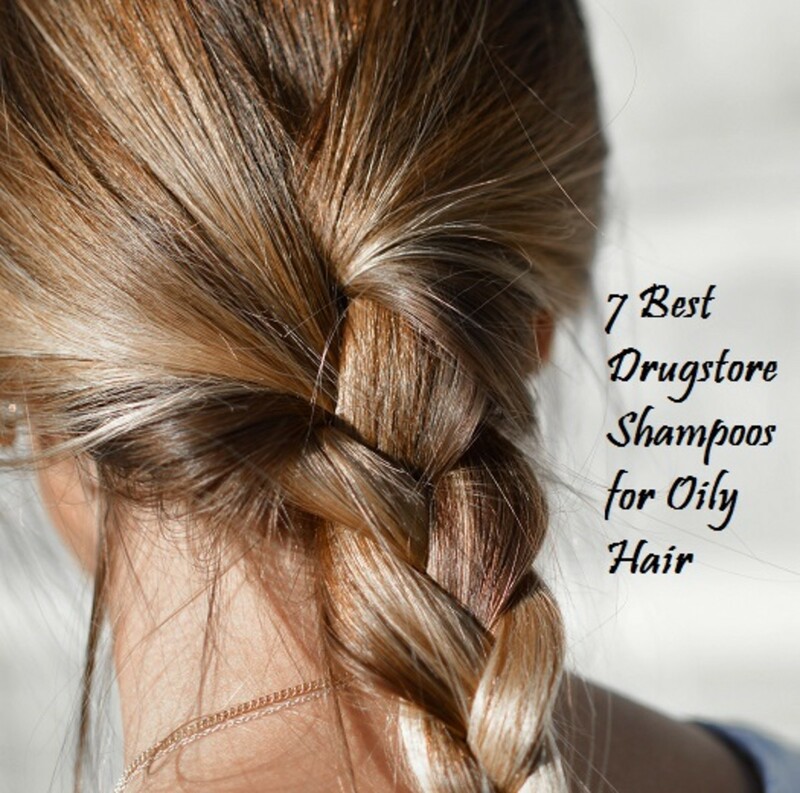 I have truly enjoyed my web hopping scouting around for spa centers. This is my first collection and I hope to find more. 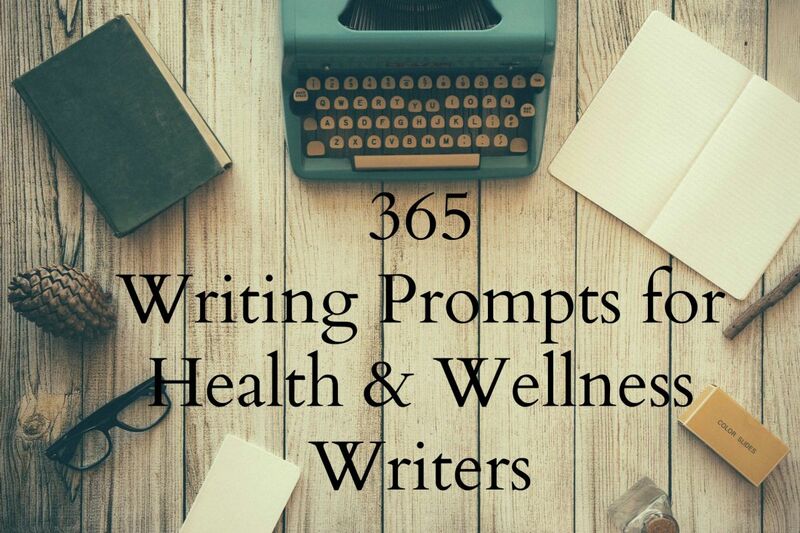 I have now included in my bucket list the desire to be able to go to these various health spas and experience first hand the legacy of wellness that they offer to different individuals. Dubbed as one of the Best Spa Under 15 Guest Rooms in North America”; received the “Reader’s Choice Award--Best Boutique Spa in North America” plus “Best Day Spa in Minnesota,” their numerous awards for over the past 25 years will pique your curiosity enough to find out more. Is this the spa vacation or spa resort that you are looking for? Imagine yourself on a 300 pristine acres of woodland with fountains, ponds, and hammocks for your viewing pleasure plus a private lakeshore that stretches to two and a half miles. Guests get the chance to enjoy the unspoiled beauty and abundant wildlife and engage in activities like hiking, canoeing, kayaking, biking, cross-country skiing or doing snowhoe. You can also indulge in detoxifying mud massages or facials, rose body wraps that makes you feel pampered and relaxed. This sounds truly heavenly! Be sure to check out their spa vacation packages. 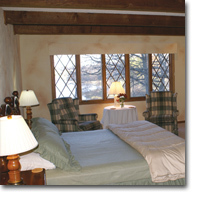 Rates range from a Day Spa of $250 to an overnight, a day, two days or five to seven days $1,600-2225 (seven days rate). Spa Packages includes fitness activities, wellness presentations, spa meals, salon treatments and accommodations. Couple spa packages are also available. 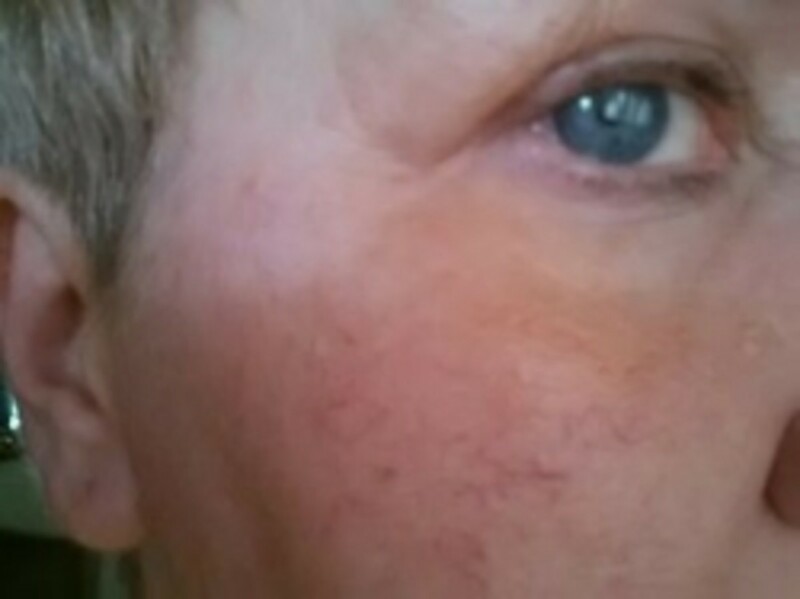 Learn more about BIRDWING SPA. The Tennessee Fitness Spa boasts of Southern Hospitality. I’ve often wondered about Southern Hospitality and someday would want to travel and experience this first hand. But more than that, I was captivated by the fact that this place is located at the Tennessee beautiful and historic Natural Bridge. 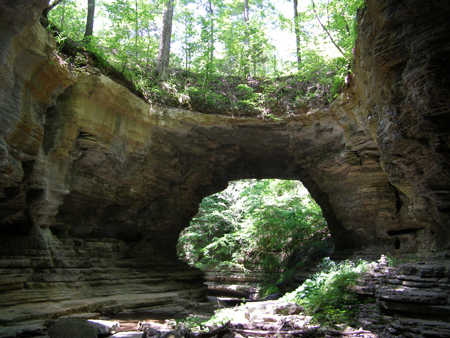 This Natural Bridge is the only known double-span natural bridge formation in the world. 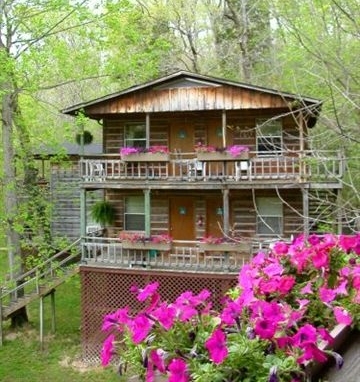 The chalet-style accommodations are clean and comfortable and affordable. 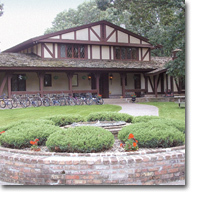 Guests have options to stay in a quad, their most affordable room, for as low as $775 per week. Of course, double, private rooms or the penthouse are very much available too. The rate mentioned above already includes a full schedule of fitness activities plus three healthy meals of course. Reader’s Choice Awards have been given to them for being the Best Spa for Weight Loss and Best Spa for Affordable Spa. Look at this young lady sunbathing on their sundeck. This is located on outside of their pool building with misters to cool you on hot summer days. The last photo is the water wheel. This is near the ice cave and their office. 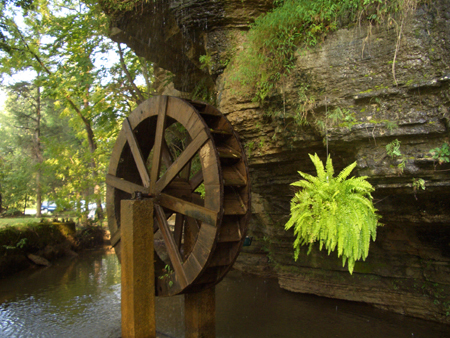 Water lovers can sit on a bench by the water wheel and listen to the ripples of water that will definitely calm your soul. 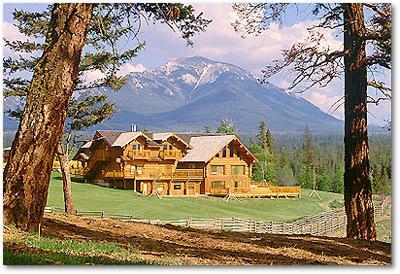 In the heart of British Columbia, Canada is the spectacular Cariboo region where Echo Valley Ranch & Spa was born. 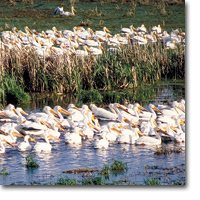 The combination of wide open spaces and the wilderness (the place is sourrounded by mountains and countless lakes as well as marsh lands) has become a wonderful sanctuary for guests looking for a place to rest, relax and rejuvenate. This great get-away experience is perfect for people of all ages including the business professionals and romantic retreat for couples. 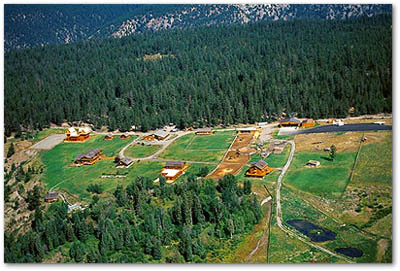 Interesting activities include horseback riding, hiking, river rafting, and fly-in fishing. World class spa treatments with a touch of Thai are made available to the guests. For the less adventurous, one can have the option to laze around in the hot tub, swimming pool or engage in the ranch activities or even watch falcons being trained. Ooh, I like that. Cleansing spring waters and ranch grown organic produce combined with fresh air with exotic Thai Spa, you can have an all encompassing experience of wellness and well being. The words practically leapt from the web… Find yourself between a rock and a soft place. Curious I saw stunning red rock cliffs, black lava bed gardens and the desert inviting you to come and see this place. Of course, the imagination has begun as one can see oneself hiking through those magnificent rock structures or rock climbing and biking. 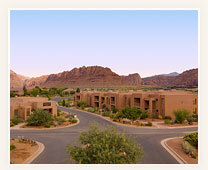 The Red Mountain Resort Spa is located in Southwestern Utah, around 2 hrs northeast of Las Vegas. Be invigorated, surrounded by majestic red rocks, blue skies and our peaceful setting along with their spa features: guided hikes, nutritious meals, cooking demonstrations, healthy life classes and more. 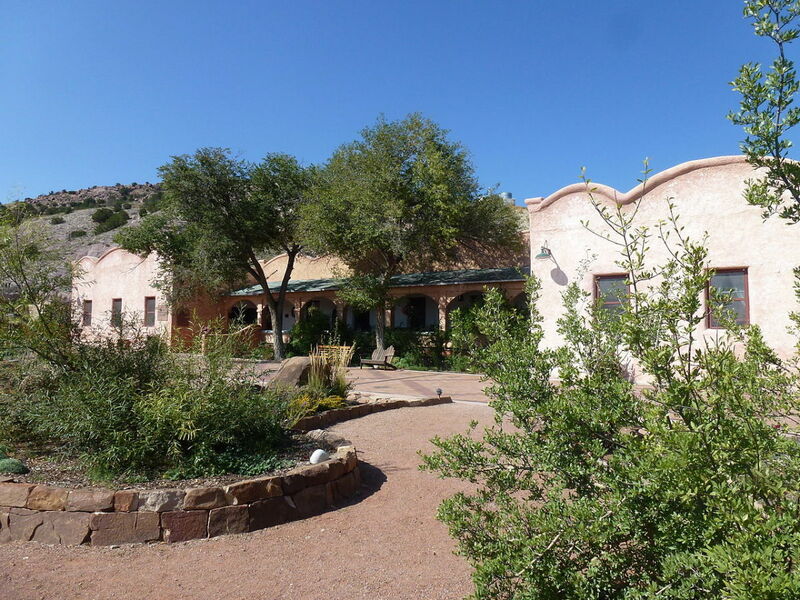 Red Mountain Resort got the following awards among others: Spa Magazine Silver Sage Award for Favorite Destination Spa and Favorite Affordable Spa; American Spa Magazine award for Favorite Health & Fitness Spa and one of the Top 30 places to visit in 2010. The Victorian house and porch looked so inviting; I just had to take a tour. 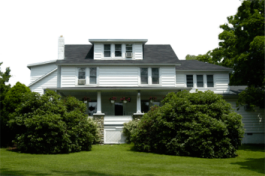 Deerfield spa is surrounded by colorful flowers and the Pocono Mountains. The place looks so quaint and cozy that if your spirit is drawn to this kind of setting this would be the spa resort suited for you. 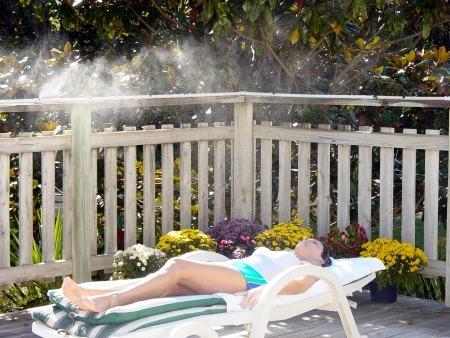 The relaxed atmosphere can help you unwind with an outdoor gazebo-enclosed hot tub or join an aquatic class. You will get the chance to learn Yo-Wei, the mind-body workout that no other destination spa – anywhere – offers, or try Pilates Reformer at no extra charge. Take in a lecture or cooking class, learn self-massage. Avail of their gift of a complementary Swedish massage with your one-week stay, $150 toward any services during a five-night mini-week, or save on treatment packages for any length stay. If you would like to have a personalized health and fitness program, Coastal Trek offers you a structured program with integrated activities as well as wellness education so you are better equipped to maintain a healthy lifestyle. 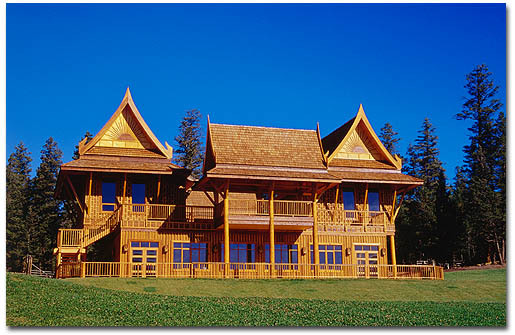 This luxury health resort is located on the picturesque Forbidden Plateau overlooking the GeorgiaStrait and the British ColumbiaCoastalMountain range. 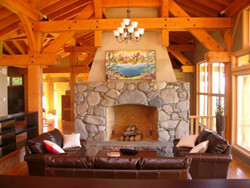 The 15 acre Vancouver Island property is perfect for private trails and relaxing strolls. 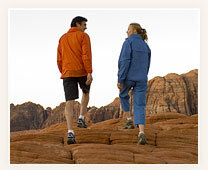 They have a 7 night/6 day health, hiking and fitness program ($2,995) as well as a 3 day Taste of Trek program ($1595). 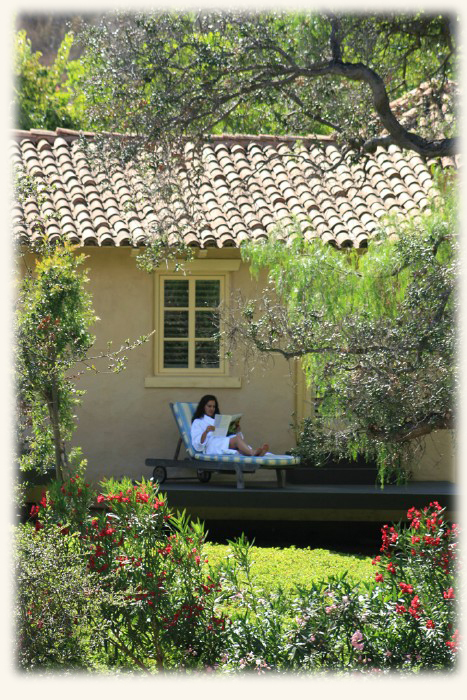 Nestled on a 200 acres secluded valley north of San Diego, this is a spa resort perfect for a spa vacation. I absolutely loved the photos that you will see in their website. The rustic elegance of the Mediterranean-style villas is breathtaking. It is very much evident that the environment created has achieved harmony exuding peace and tranquility. The villas or petite suites can accommodate upto 30 guests, with high caliber of personalized attention and care that you desire. Your mental and physical condition is nurtured as they teach you the ancient arts of Yoga, Qi Gong and Meditation. There are over 20 different mind-body-spirit classes. And you can get the chance to quiet your mind as you walk in their labyrinth or experience deep meditation in their 400 year old chapel. Do you dream of a spa vacation or spa retreat like I do? Going through these wonderful spa retreats, spa vacations and spa resorts gave me a really good feeling of positive energy. If you have been to any of these spa resorts and have your personal feedback, I am absolutely dying to know your experience...so do share in the comment box below. To your health and wellness. Amazing blog article post. I really enjoy with your blog post. I lover your blog article and keep it up regular manner post. This Domain is now for sale!!!!!!!!! ? ? www.wellnessresortfinder.com ? ? Of all the times I've visited Tennessee and stayed in mountain side chalets I have Never heard of this spa! I have been seriously missing out!! This place looks fabulous! Ann, I feel the same way too. :) Thanks! Gosh, these are amazing places, Michelle! I loved this hub! Even the photos say it all! I have been to a few spas in my life, most in the Uk, and they are a great way to spoil yourself and detox and get rid of some bad health habits and pick up some good ones! You really sold me on this whole Health Spa thing all over again! LOL! Well done! Oh my how I could get lost in these resorts! What a wonderful respite, ripplemaker! I am so glad you researched these beautiful and luxurious places! ripplemaker - They all look so inviting. One of these days just maybe, I will get there. I have thought of this so many times but have never actually gone through with it. 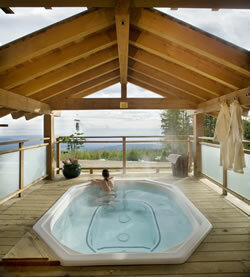 Beautiful spa resorts, Ripplemaker - its a pity they are so far away in the US and Canada! Are you going to write about spa's in Europe? Lindsay and katrina, I welcome you warmly in sharing my desire to have a spa resort or a spa vacation! Welcome aboard! Yes, yes, yes! :) Blessings to you ladies! Sign me up. For any of them... Though I am partial to BC because I live there. Though it's not the same, I'm pretty happy simply going into nature's spas - hot springs and clean rivers, surrounded by tall green trees. Yes! Wonderful article and it did help lift my spirits just to think of the spa retreats. Thank you for the article! Great hub, and wonderful places, the accommodations seems enough for a visit, especially at Tennessee and Echo valley Spa. I feel the need to relax a little now. :) Rated up. Divine vacation..I like that! :) Thanks MPG for dropping by. All of these sound devine, one day I hope to have the time to visit at least one. Thanks for an enjoyable read, ripplemaker. artrush: It's nice to hear from you. Thanks for dropping by. Blessings. The one in Deerfield looks nice. love the lush green environment. Thank you so much for showing and writing this hub. They are becautiful. What beautiful selection of spa vacations! I must second Marie on the Southern Hospitality, I live about 3 hours from the spa you listed in Tenneessee. I am a southerner by choice and can speak for that hospitality, I Love it here and you would too. As for the one in Utah, that was a trip back home where I grew up on the Rocky Mountains. I can envision your dream of the wellness center as that has been my dream too. The Philippines needs the center you and Daisy are creating and I can't wait to visit and participate. Hi Marie, aaah thank you for sharing your delight with Southern Hospitality. One of these days Marie, we will be able to have a retreat with you, Daisy, Sue, Dottie, Shirley (wouldn't it be great fun?) and when our dreams come true of having our wellness center in the Philippines, you are all invited that's for sure! YIPPPPEEE! Hi Al, glad you love these kind of vacations too. They are indeed wonderful for the soul and away from the hustle and bustle of life. :) Blessings to you too! Michelle: Spas are creations of beauty which you were able to convey in your hub! As for Southern hospitality, I visited Memphis, Tennessee years ago, and yes, I found their hospitality to be charming, I still talk about it. LOL! I have been in other places, and in one city of California, I found the folks were so unpleasant, I cut my trip short, checked out of the hotel, took a plane to San Francisco, visit which I enjoyed. These places are dreamy and wonderful, Do I dream of a spa vacation like you do? You betcha! Enticing, beautiful, it is just a safe haven! Thank you for your blessings, angel! Keep on flapping those silvery wings! Oh to go to a spa! For me it's the ultimate retreat. I've never been to any of the above so I cannot leave a review, but I thank you for the read. It left me in a very peaceful state of mind and got me thinking about my next vacation!